DATALAND, INC. (Dataland), owner of the controversial Php507.5 milliion 12-story 144 room upscale hotel resort under construction along the beachfront of Alona Beach, Barangay Danao, Panglao, made good it’s warning to elevate their petition to the Department of Public Works and Highways (DPWH) to bring back their recalled building permit by filing a 31-page appeal on March 15, 2018. To be named “The Ivywall Hotel”, the 12-story building has stopped construction at the sixth floor with the owner claiming millions of pesos in losses and the possibility of losing its franchise from an American based chain of hotels and resorts. Bunao did not budge in his decision to recall and amend the building permit of Dataland despite the appeal to DPWH Secretary Villar even as Department of Environment and Natural Resources (DENR) Secretary Roy Cimatu and National Economic and Development Authority (NEDA) Secretary Ernesto Pernia were both in agreement that high rise structures similar to the Dataland Hotel should be limited to not more than six stories. During an ocular inspection at Alona Beach on March 20, 2018, Cimatu observed that even in Boracay, structures along the beachfront complied with the height restrictions of the island even as he chided Environmental Management Bureau (EMB) Regional Director William Cunado to review the issuance of an Environmental Clearance Certificate (ECC) to Dataland. 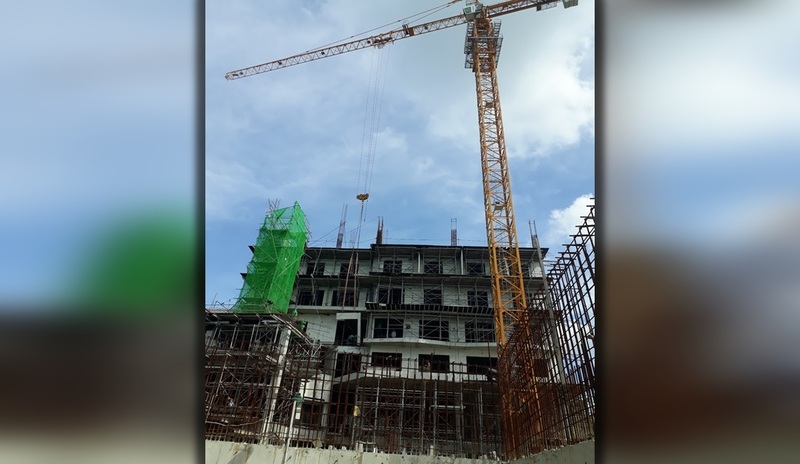 Pernia also told Dataland personnel present at the construction site that they should comply with the 6 story height restriction of the local ordinance since the height limitations imposed by the Civil Aviation Authority of the Philippines (CAAP) concerns the flight path of airplanes. The appeal prays for Villar to order the OBO of the Local Government Unit (LGU) of Panglao to “reverse, annul and set aside” a recall and amendment order of the building permit issued on February 15, 2018. Bunao recalled Dataland’s building permit which was earlier approved on June 19, 2017 for the construction of a 12-story hotel for violation of the Comprehensive Land Use Plan (CLUP) and Municipal Zoning Ordinance Physical Development Plan. Bunao ordered Dataland to limit the number of stories of their building to 5-6 stories from the approved 12 stories after a site inspection found that the location of the building was within the beach zone which has a height restriction of 6 stories. Present construction has reached the 6th floor and is now at a standstill pending resolution of the building permit fiasco that has placed Dataland in grave danger of another recall, this time involving its franchise from Best Western Hotels and Resorts. Dataland revealed that they have committed to Best Western a 144-room hotel and failure to meet the agreed number of rooms will open them to penalties and forfeiture of all fees paid amounting to $25,000.00. Upon the issuance of the building permit by the OBO, the foundation works for a 12-story building started, procurement of materials and services proceeded and contracts awarded amounting to over Php331,404,082.91 or roughly 65.30% of the project budget cost as of March 9, 2018, according to Dataland. Scheduled to be completed early next year, the existing facilities designed for a 12-story hotel will not only lose Php331,404,082.91 in actual cost but also the opportunity to produce revenue-earning hotel rooms if amended from 12 stories to 5-6 stories as ordered by Bunao. In the appeal, Dataland also raised the issue of the propriety of the OBO to recall and amend the very building permit which Bunao “evaluated, scrutinized, and eventually approved for the issuance of a 12-story structure”. Dataland stressed that even the zoning ordinance of Panglao provides for an exception to the height limits which it set for resort establishments in the beach zone which does not apply to areas covered by height restrictions set by the Air Transportation Office (ATO) within the airport vicinity. Bunao undertook a site inspection of the hotel in pursuant to a Sangguniang Panlalawigan (SP) Resolution No. 2018-031 sponsored by Board Member Kristine Alexei B. Tutor requesting the Local Government of Panglao to determine whether or not Dataland Hotel is within the 100 meters beach zone located right after the 20-meter salvage zone. The SP also recommended that if the construction is found in the beach zone, the LGU revisit its zoning ordinance or recall the building permit to prevent further violations of the CLUP and its own zoning ordinance. The SP conducted an investigation on the Dataland construction based on the request of Panglao Municipal Councilor Rogelin Degoma.